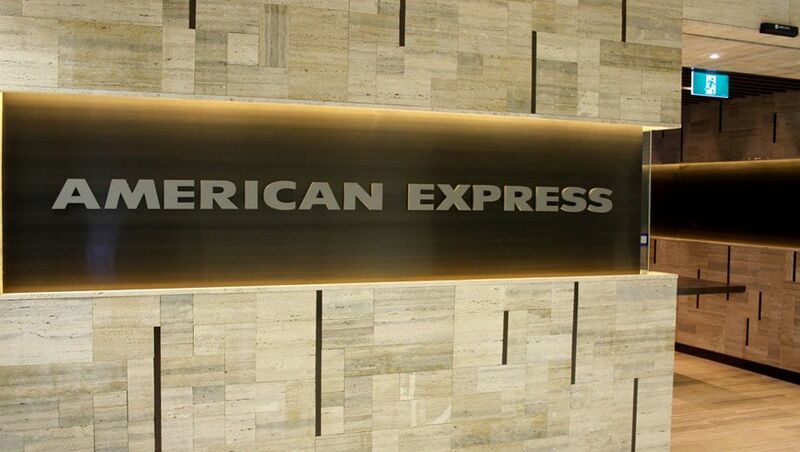 American Express cardholders with David Jones-branded credit cards will earn fewer frequent flyer points on their purchases from April 15 2019, joining the bulk of AMEX’s other cards which are already having their points-earning power reduced from the same date. Hardest-hit are spenders who directly earn Qantas Points on their card – as opposed to David Jones Membership Rewards points for conversion to other airline partners. The Qantas earn rate will drop to as few as 0.5 frequent flyer points per dollar spent. Here’s what’s changing on each David Jones card, and how that aligns with AMEX’s broader frequent flyer overhaul. This is achieved through a reduction in the ‘conversion rate’ American Express uses behind the scenes when shipping points over to Qantas, as David Jones cardholders first earn “reward points” on their spend, and every month, those rewards are automatically converted into Qantas Points. Points conversions made from April 15 see that conversion rate move from today’s 4:3 (1 reward point = 0.75 Qantas Points) to a less-generous 2:1 (1 reward point = 0.5 Qantas Points), mirroring the new airline conversion rates being implemented on other AMEX cards. While there’s no change to the number of “reward points” earned per dollar spent – such as three reward points per $1 on supermarket and petrol station charges for standard and Platinum David Jones cardholders – those reward points simply become less valuable, due to the worsening of the Qantas Frequent Flyer conversion rate. This change also brings an end to the longstanding loophole of being able to earn 0.75 Qantas Points per $1 spent on government charges (such as ATO payments) through the David Jones AMEX cards, compared to the more typical earn rate of 0.5/$1 as found on most other AMEX cards. From April 15, these government payments – and all other everyday charges outside of David Jones, supermarkets and petrol stations – will earn a mere 0.5 Qantas Points per $1 spent, considerably lower than many Visa and Mastercard products in the market, like ANZ Frequent Flyer Black. Customers earning David Jones Membership Rewards (DJMR) points from their American Express spend – such as for conversion to programs like Virgin Australia Velocity, Singapore Airlines KrisFlyer and more – are less-impacted by these changes, given the scheme already adopted a 2:1 conversion rate on all frequent flyer transfers. As this is the same rate American Express is moving to across the board, even for its flagship Platinum Charge Card, 2:1 conversions from DJMR to airline partners will remain in place from April, with no changes to earning rates either. This means David Jones AMEX Platinum cardholders shopping at David Jones will continue to earn four DJMR points per dollar spent in-store, for example, equal to two Velocity frequent flyer points, two KrisFlyer miles and so on. That said, opting for David Jones Membership Rewards instead of Qantas Points has always been the less-rewarding option: so while these cardholders escape any major change under this reform, the number of frequent flyer points provided on most everyday purchases remains low, even by today’s standards. As American Express also administers David Jones Storecards – a different type of card that can only be used at David Jones, rather than everywhere AMEX is accepted – the changes above to David Jones gift card purchases using points also impact Storecard holders, who’ll get $88.60 in value from every 13,300 points earned ($13,300 spent on the Storecard), compared to $100 today. Finally, despite all the changes, all David Jones American Express cards will continue to earn uncapped points, as will the David Jones Storecard, so however much you spend every month or year, you’ll be continue being rewarded year-round. Chris thanks. Did they mention anything about the transfer rate on the DJ Store card (i.e. not Amex branded). Today I get $1 > 0.75 QFF on the DJ Store Card. Thanks. Hi AT, the Storecard isn't normally a product we cover (aside from a brief mention here), and the information available from American Express doesn't mention the opportunity of earning Qantas Points on that card at all: so if you are indeed earning with Qantas on your Storecard purchases, we'd expect the conversion rate to change in line with the other David Jones cards, but that's something you should check with David Jones or the card issuer (AMEX) directly. Appreciate it Chris. All good. I'll wait for the cut over period to kick in and check to see what the conversion rate is on QF side. Comment on "American Express cuts frequent flyer points on David Jones cards"